Heritage Rewards gives you the benefits of our tradition of providing excellence to our guests, each guest, each stay..every time. The more you stay, the more benefits you will experience and the greater the rewards. The more Stays you accumulate the Greater the rewards. Each fifth stay entitles you to a Bonus gift. Free Nights..sure we got them. Heritage redemptions also offers Gift certificates to our affiliate partners and once in a lifetime experiences.. Were proud to announce our partnership with Brooks Brothers. Silver level and above members receive 15% discounts and are pre-enrolled. 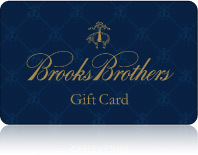 Use your points to purchase Brooks Brothers gift cards!